Gifts For People Who Love Intermittent Fasting On Any Budget! Your friend, mom, partner, secret santa or dog walker is totally into fasting. They use intermittent fasting to improve their health and reduce their weight. At first, you thought this sounded a little nuts but now you can see the positive effect this is having on their life. You want to support them but how can you give them a holiday gift when fasting is the act of not doing something? Have no fear, we are fasting pros and we have got you covered with 10 gifts that will delight your fasting friend whether you have $0 or hundreds of dollar to spend. This book taught us so much about fasting and is the perfect gift for someone who has already begun their fasting journey but is in the process of still figuring it out. Dr. Jason Fung and Jimmy Moore have produced a straight forward, step by step book that explains the health benefits of fasting and the different methods of fasting one might want to select from. Coffee is life! There, we said it. Some people only have water and salt when they fast but most need coffee to make it through. While fasting, we look forward to our coffee as if it is replacing our meals. This means it needs to be high quality and delicious. Our favorite coffee maker is the Aeropress simply because we think the coffee it yields is the best. We love the portability of the Aeropress and bring it with us when we travel. Coffee is excellent at helping to squash the appetite when the hunger comes. This is a perfect gift to be given by kids, spouses and roommates. Fasting can be tough in the beginning. Like any muscle, the fasting muscle gets stronger over time but it sure is nice when someone steps in to help. Coupon good for one day of no cooking! Coupon good for one set of dishes washed and put away. Coupon good for the family to go out to eat while you get full control of the tv remote! This cheeky t-shirt cracks us up because we made it! The DTF? Or Down To Fast? Shirt gets attention and invites people to ask questions about fasting. Seriously, why does fasting have to be boring? Fasting helps us with our health and hotness so we think it is pretty cool! Our favorite places to wear it are the gym and the grocery store and it is a pretty affordable gift option for $20 (shipping included!). When people fast, they often end up with loads of extra time since they are doing less cooking, shopping, eating and cleaning. Some folks also end up with body aches from low levels of magnesium. Perhaps you are broke but still want to pamper your loved one. You can solve this problem for a few bucks and an hour of your time. Head to your grocery store or pharmacy and pick up a bag of Epsom Salts. Run a bath for your loved one and put in at least 2 cups of Epsom salt into the tub. Epsom salts contain magnesium which will soak in through the skin while in the bath! Heck, you might even get crazy and light a candle for them. Direct them to soak in the tub for at least 20 minutes and then follow up with a shoulder or foot massage. Or, if you are a bit lazy and flush with cash, book them a massage. For maximum posh, set them up with a monthly massage subscription at the local spa or massage shop. When you fast, there are times your body can be missing key elements and you feel the effects. Dizziness, cramping and general discomfort can be a sign that you are missing key electrolytes like calcium, magnesium, sodium or potassium. 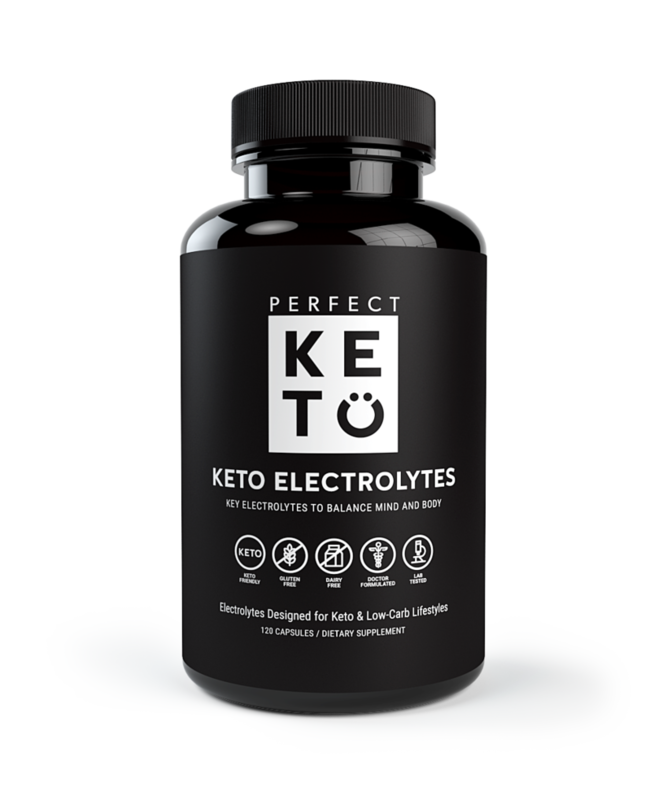 There are many ways to get these electrolytes while fasting but our favorite is Perfect Keto Electrolytes because they come in pill form and small dosage amounts so you can take as much or as little as you need to get back on track. Warning! Fasting is very effective at helping people to lose weight. If your loved one is consistently engaging in intermittent fasting, their body is going to shrink. And they deserve to look great as they do. Our favorite solution to this is to sign up for a clothing subscription service. You pay a subscription fee based on how many pieces of clothing you want at a time. You select the items online and they ship them to you. Wear them as long as you want and then ship them back so you can receive new items. This is incredibly helpful as the size of your body continues to dwindle! Our favorite service is Gwynnie Bee. I’ve been using this service for years. It is for women only (sorry fellas) and I appreciate that it caters to sizes 0 to 32 because I have changed sizes about 60 times! Click here to get one free month of Gwynnie Bee and $10 off your first paid month. Try it and see what you think. If you don’t dig it, then cancel and find another service you enjoy more. RentTheRunway.com and LeTote.com are two of the more well known sites you can check out. The most basic fast requires two elements - water and salt. It is stunning to realize how much salt we normally get when consuming food. The truth is that our body needs salt. In fact, while fasting, it is ideal to get about 1 and a half teaspoons of salt per day. You may choose to mix it into water or eat the salt straight. High quality salt is ideal and because we love flavor, we like to munch on our salt. Having a variety of delicious sea salt gives the intermittent faster in your life something to look forward to. This sea salt pack comes in easy to carry pouches that can be slipped into a purse or a pocket when you need salt on the go and it is thoughtful gift for less than 15 bucks! Remember those two basic ingredients for any fast? Salt and water. Staying hydrated is a critical part of a successful fast, but sometimes we get so dang sick of drinking another glass of plain ole water! When you need a little sparkle in your water glass, we suggest taking high quality water and adding bubbles at home with this seltzer maker. You can make fizzy drinks at home and save money buy not purchasing pre-made seltzer or club soda. This is the program we used when we began fasting. We had so many questions and wanted to be able to turn to someone personally. Megan Ramos and Dr. Jason Fung are some of the leading authorities in the world with many years of experience using fasting to treat their patients. The IDM program has a free 12 week introductory program or a more intensive program for $39 a month. If books and online forums don’t answer all your questions and you need more personalized support, then I believe this is the program to explore. In the end, the best gift you can give anyone fasting is support. Anyone who engages in renewed efforts at improving their health will go through periods of frustration and elation. Your kindness and understanding are always at the top of their wish list. Happy Holidays! Discussion: Do You Count Calories?